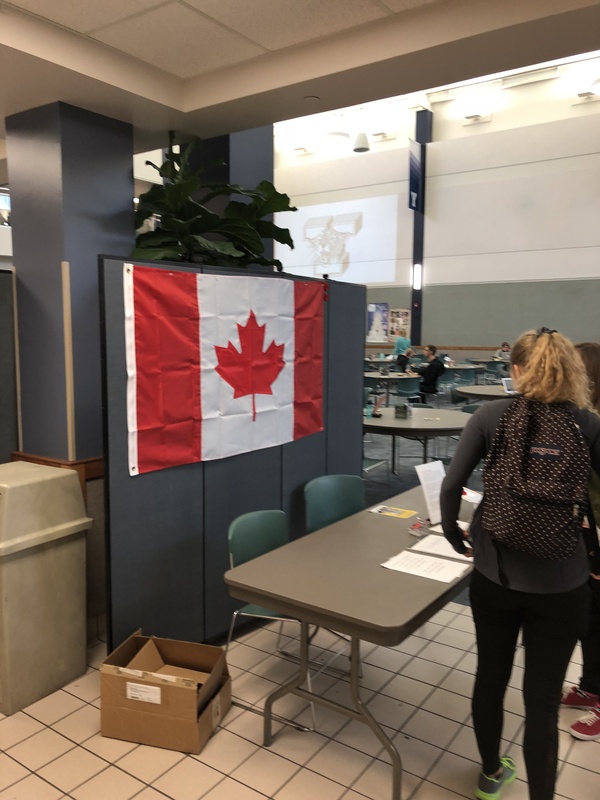 Last week the Canada Club at Brigham Young University were at the International Student Center to distribute poppies for this year’s campaign. To date they have distributed over 350 poppies, including 100 to a Reserve Officer Training Corps (ROTC) unit! 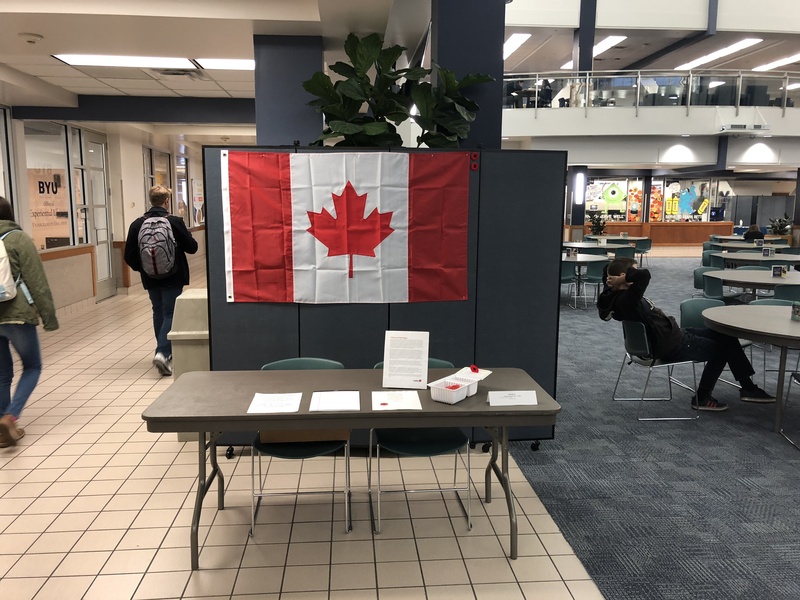 This entry was posted in Poppy Campaign and tagged Poppy Campaign on November 6, 2018 by Michael K. Barbour.